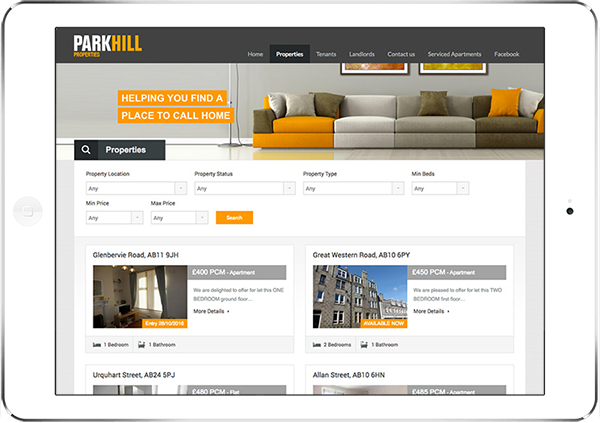 Parkhill Properties is a property management company based in Aberdeen who approached us to build a new website to help lease their properties. Their old website was very dated and very clunky when updating properties, so they wanted a nice, new, mobile friendly, modern responsive website that set them apart from their competitors. Their new website had to clearly show all off all their properties along with all their other property management services. They also needed a property manager built in so they could manage and add properties going forward so needed a solution that was simple and easy to update. 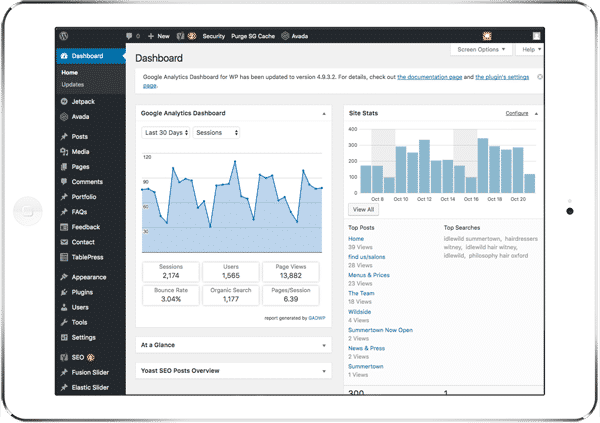 We rebuilt the website from the ground up and built it in brand new modern, mobile friendly format that was appealing to potential customers. We also built a property manager so the client able to updated their properties which was robust and matched their requirements and provided full training. 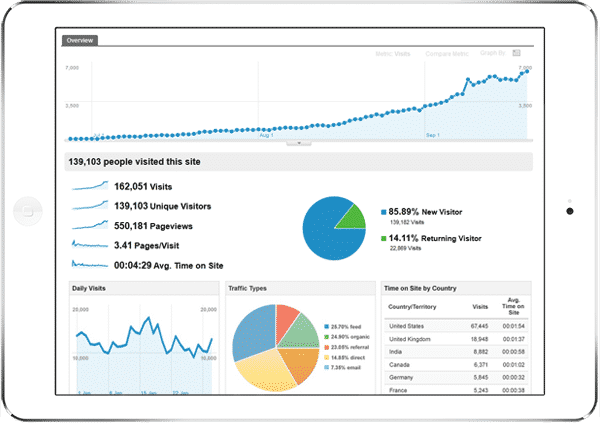 We also ensured that website was search engine friendly to improve the website visibility and that has seen a significant increase in the number of visitors to the website. The website is a wide screen modern format that has their corporate colours used throughout the website with simple layout, clewrly showing property information and services, search filter sidebars and nice, easy navigation. The client wanted to manage their properties, images and content going forward so we built the website in WordPress and the client now fully manages all aspects of the website.